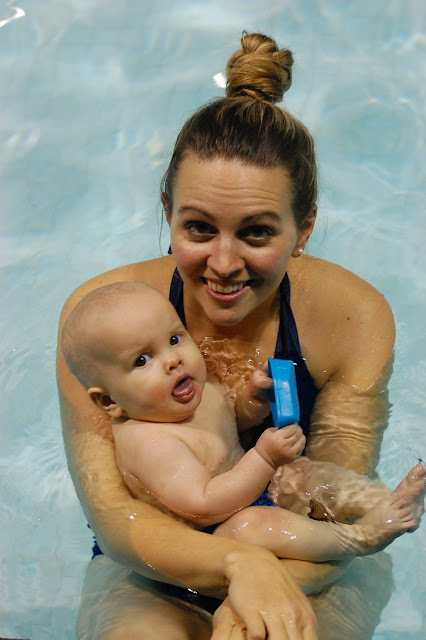 Soren had his first swimming class today! Unfortunately, the kiddie pool was closed due to a 'pool fouling' so we had to go in the big, COLD, pool. But didn't like it when he accidentally inhaled a big gulp of water!